GDC Europe organizers have revealed major new speakers for its August 2010 event in Cologne, including a Heavy Rain postmortem from David Cage, plus detailed talks from the creators of Crysis 2, APB and Split/Second. The latest announcements follow details of a keynote from Bigpoint and initial lectures from notables from Playdom, Sony, and Playfish. These begin to flesh out the schedule for the major three-day European game development event, taking place for the second year on August 16th-18th in Cologne, Germany. - In 'Heavy Rain: How Far Are You Prepared to Go to Develop an Original Project? ', David Cage "will be driving the audience through a detailed postmortem on the hurdles Quantic Dream had to overcome to produce a game such as Heavy Rain", looking at making the "babylonian production while trying to keep creative control." - InstantAction's Lou Castle is debuting a notable Business Track lecture called 'Baggies, DVDs and Bitstreams: How to Reinvent Yourself in a Dynamic Market', and the Westwood co-founder (Command & Conquer) will showcase thought-provoking opinions, "offering several specific methods of retaining and refocusing your personal outlook and, therefore, your professional career in games." - 'The Art and Visual Styling of Crysis 2' is the title of a lecture by Crytek senior art director Frank Kitson, discussing the process of defining and shaping the visual styling the much-awaited action title. It will "offer practical techniques of defining color space and getting to the core of building a compelling visual image, as well as how to define key visual requirements and build a unique visual language that is consistent across an entire game." GDC Europe organizers have announced major new speakers for the August event taking place in Cologne alongside Gamescom, with notables from Sony, Playdom, Crytek and Playfish speaking on social games, budget balancing, game metrics controversy and beyond. Following the recent announcement of a keynote from browser game giant and Battlestar Galactica MMO creator Bigpoint, the new sessions reveal significant breadth to the leading European video game conference, which takes place on August 16th-18th in Cologne, Germany. - In 'Intuition vs. Metrics: The Big Debate', Playfish's Jeferson Valardes will explore the controversy about the social game space's metrics-driven approach to design and development. Valardes, at the Electronic Arts-owned leading social network game firm (Restaurant City, Pet Society), promises "take this controversial subject by the neck and leave no stone unturned" in discussing it. - Crytek producer Bernd Diemer (Crysis) is presenting a thought-provoking design lecture from the leading German firm, 'Imaginary Places, Strange Maps, and How Pop Culture Resonates Past Media Borders', discussing how inspiration for games can be taken from the strange, compelling miasma of pop culture through our earliest experiences. - In a key production track lecture from Seb Canniff of Sony Computer Entertainment Europe, 'Budgets - The Bermudan Part of the Production Triangle', the SCEE manager will provide hands-on advice on how to build, track and stick to a video game project budget, looking at "what most often goes wrong, and providing tools and tips on how to avoid these pitfalls". GDC Online organizers are reminding that the call for submissions for the leading online game-focused conference -- taking place this October 5-8 in Austin, Texas -- are only open until this Wednesday at midnight EDT. The event, formerly known as GDC Austin, continues to accept submissions through midnight EDT on May 19th to present lectures, roundtables, tutorials and panel sessions at the largest worldwide industry event to concentrate specifically on social games, free-to-play titles, MMOs, and more. To address the unprecedented growth in the online and social game space over the last year, development and business-oriented submissions for GDC Online are being sought after, in content tracks including Business and Marketing, Design, Production, and Programming. Notably new to this year's event is the "Live" track, which will discuss successful post-launch strategies to help increase profitability and retention. This topic covers metric-driven live development, design patterns for viral mechanics, and the balance between customer service and community relations. 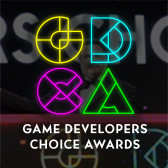 GDC Online is keenly focused on development of connected games including social network titles, free-to-play web games, kid-friendly online titles, large-scale MMOs, and more, with a leading advisory board guiding the evaluation and choice of lectures. In addition to the main conference content, GDC Online will present specialized Summit programs, with in-depth business and technical advice on major up-and-coming facets of the game industry, including 3D stereoscopic games and iPad development. Organizers of the 2010 Game Developers Conference Canada, co-produced by UBM TechWeb Game Network and Reboot Communications, have announced that more than 775 game industry professionals gathered last week for two days of learning, networking and inspiration at the Vancouver Convention Center. With attendance numbers comparable to last year's, GDC Canada 2010 provided opportunities for sharing knowledge, making new connections and celebrating the passion and dedication of fellow Canadian game-makers. With more than 35 lectures, panels, and sessions covering best-practices that studios should implement to develop successful franchises for consoles, iPhone games and digitally distributed titles, the conference was successful in inspiring Canadian developers to share experiences for fostering ingenuity and quality games. GDC Canada featured the Game Career Seminar, an expo area, business to business lounge and networking receptions where attendees met with representatives from Epic Games, Radical, Relic, Blue Castle, Hansoft and Sony Computer Entertainment, among others. Continuing their Game Developers Conference 2010 free video lecture series, show organizers have debuted well-received lectures on social/free to play games by Ngmoco's Neil Young and Moshi Monsters' Michael Acton Smith. The two new lectures, both highly rated by GDC attendees, are part of a free bi-weekly update published at the GDC Vault website, and feature video technology that allows users to simultaneously view a presenter's slides alongside video and audio of their presentation. Firstly, organizers are presenting Neil Young's Business & Management Track keynote from GDC 2010, 'Things to Unlearn Moving From Traditional Development to the New Digital World'. Young, who is CEO & founder of iPhone/iPad centric publisher/developer ngmoco (TouchPets, We Rule, Rolando) "talks candidly about the challenges that traditional game developers face" in this new market. Young, who was previously a long-time EA executive (Majestic) discusses "transitioning from long development cycles, packaged goods and the one time sale to the essential new models of games as a service, virtual goods, data driven design & minimum viable products" in this highly-rated GDC lecture. GDC Europe organizers have announced the first keynote for the August event in Cologne, with Heiko Hubertz, CEO of dominant German online game firm BigPoint discussing elements likely to include the company's NBC backing, the Battlestar Galactica MMO, and pointers for business success. As GDC Canada nears, organizers have added key lectures for the May 6th-7th Vancouver event, including a BioWare duo on Dragon Age and former EA exec and current VC Glenn Entis on funding for game developers. These confirmations come on the heels of already-announced emerging market lectures from Zynga and Diner Dash creator Nick Fortugno, and other recently debuted talks from Obsidian, Blizzard, Telltale, and Blue Castle Games execs and creators. - 'Bringing Dragon Age to Life - Digital Actors in an Epic RPG' features BioWare's lead animator Clove Roy and lead character artist Shane Hawco who will "provide an in-depth look in how to tell a huge complex story through an interactive narrative, complete with hundreds of emotionally engaging digital actors" for the Canadian-developed hit title Dragon Age: Origins. - In 'Funding for Game Developers - Do's and Don'ts', Vanedge Capital co-founder Glenn Entis, formerly CTO of Electronic Arts and now running a game-focused VC fund, will give "an overview of what it takes to fund a young company or game development studio." 2010 GDC Online organizers have announced that the call for submissions is open for the leading online game-focused conference, which takes place this October 5-8 in Austin, Texas. 2010 Game Developers Conference Europe organizers are reminding potential speakers that submissions are still open for the August event, with a final deadline at the end of Friday, April 23rd. GDC organizers have debuted two new free lecture videos recorded at Game Developers Conference 2010, including acclaimed talks from Train boardgame creator Brenda Brathwaite and iPhone geoDefense maker David Whatley. Firstly, Brenda Brathwaite's Design Track talk 'Train (or How I Dumped Electricity and Learned to Love Design)' sees the Slide creative director and veteran developer (Wizardry) discuss why she "shut off her computer and consoles and began to consume dozens of non-digital games from all over the world", after "playing a run of games that both looked and played the same." In this lecture, Brathwaite talks about the design process of her series the Mechanic is the Message and specifically the award-winning board game Train, and "shares what she learned from our brothers and sisters in that other medium when she cut the cord, became incredibly inspired, and learned to love design." Organizers of this October's GDC Online game conference in Austin have confirmed Summits to run parallel with the major event, including one and two-day events dedicated to game development on Appleâ€™s iPad, 3D stereoscopic games, iPhone games and video game narrative. 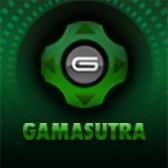 The summits, to be held on the first two days (October 5th and 6th) of the four-day event, will present key in-depth business and technical advice in these major up-and-coming facets of the game industry, ahead of the online game-centric Main Conference content. Debuting at GDC Online, the one-day iPad Gaming Summit, paired with the iPhone Games Summit, will provide an abundance of key facts and advice for all those working on the iPhone and iPad platforms. Sharing key business learnings to top technical takeaways from developers already surging to major success on this already extremely competitive format platform, the iPad Summit provides a springboard into the world of iPhone/iPad game development. GDC organizers have released two new free lecture videos recorded at Game Developers Conference 2010, including 2D Boy's Ron Carmel on funding independent games and Bungie's Brian Sharp on compassionate leadership in game development. The two new lectures, published at the GDC Vault website, feature video technology that allows users to simultaneously view a presenter's slides alongside video and audio of their presentation. First, the Independent Games Summit at GDC this year was kicked off by Ron Carmel's lecture, 'Indies and Publishers: Fixing a System That Never Worked', for which the full video presentation is now available. Carmel, co-founder of World Of Goo creator 2D Boy, is one of the key movers behind the recently-announced Indie Fund, an "angel"-style funding source for indie game makers, and his lecture and Q&A discusses his thoughts on the future of funding for independents. 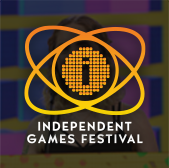 The lecture begins with IGS co-organizers Matthew Wegner and Steve Swink introducing the Summit and making remarks about the state of independent games - click on the 'Indies and Publishers' link in the navigation window if you'd like to move straight to Ron's talk.